20 Feb 1895 French protectorate of Haute-Volta (Upper Volta). 18 Oct 1904 Part of Haut-Sénégal-Niger (see Mali). (part of French West Africa; see Senegal). 1942 [under Darlan to 24 Dec 1942], Free French). 11 Dec 1958 - 5 Aug 1960 Member state of the Communauté (French Community). 4 Aug 1984 Burkina Faso. 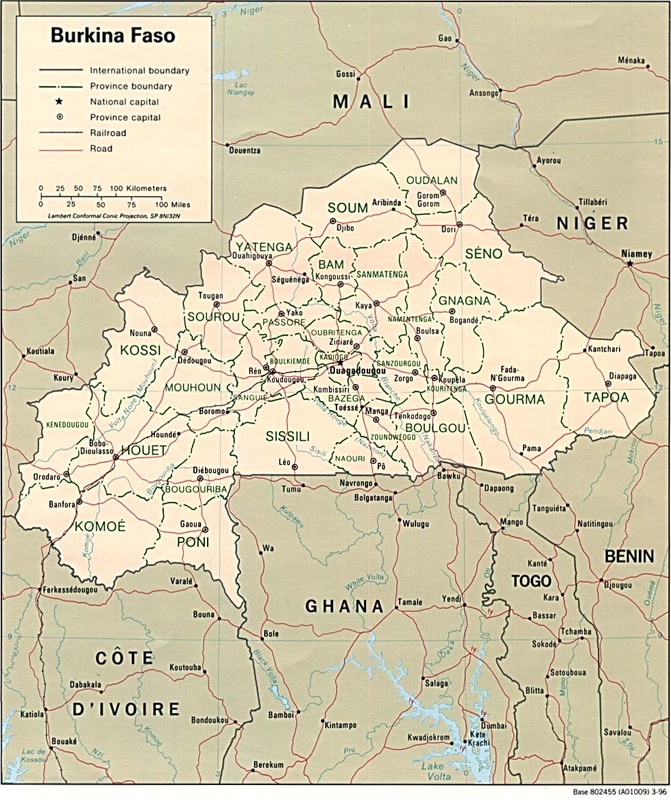 Territorial Disputes: Adding to illicit cross-border activities, Burkina Faso has issues concerning unresolved boundary alignments with its neighborsdemarcation is currently underway with Mali; the dispute with Niger was referred to the ICJ in 2010, and a dispute over several villages with Benin persists Benin retains a border dispute with Burkina Faso around the town of Koualou.